When it’s especially hot outside, we change our own habits to acclimate to the weather. How about your pets? Well, here’s a helpful infographic about Pet Safety and Hot Temperatures. We all know it is dangerous to have your pets in the sweltering heat of summer. Cars heat up quickly once in the summer sun. Plan to leave your fur-babies behind in the cooler temperatures in your house. Plus: receive those doggie kisses when you get home! 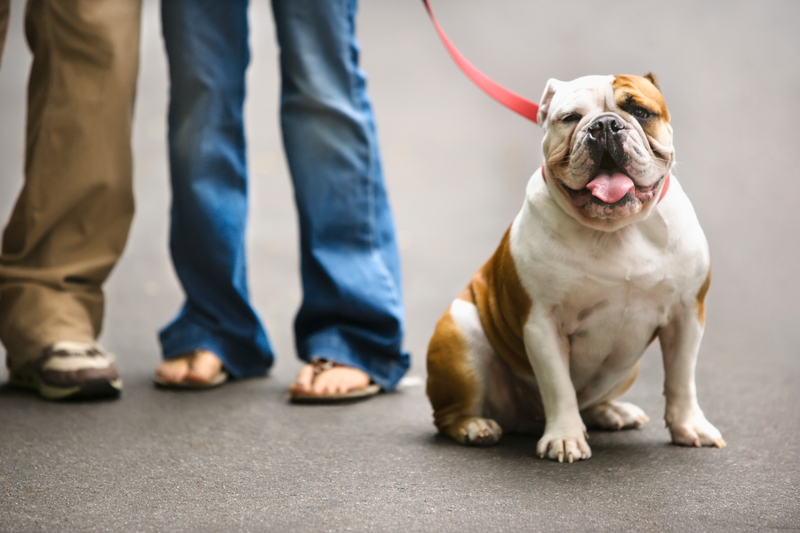 When they go outside temporarily for walks or to do their business, be sure you have them on a leash or enclosed back yard. It is easy for dogs to become disoriented in hotter temperatures with lack of water. Sometimes, they may wonder off. This is a good reminder to be sure your pet’s collar has current contact information or they are micro-chipped. If someone else finds them, these resources are extremely important. This seems to be logical, but often you can lose track of time on how long you are outside. Remember your dog is wearing a fur coat and their body temperatures are naturally higher than humans. Be sure to keep cold water outside for your dog to drink. Consider using a hose to cool them off, or providing a baby pool of water for your dog to wade in. Anything that can give your dog some relief will pay off in the end to keep them hydrated. You know your dog, so you most likely will know when they are close to overheating. Just as humans can suffer in the extreme heat, so can dogs. They can suffer from heat exhaustion, heat stroke and sudden cardiac arrest due to the high temperatures. If you feel your dog is at the danger zone of being overheated, contact your veterinarian or make a visit to the Pet ER hospital. Often at these facilities, they will provide cool fluids, and even an IV, if fluids are needed immediately. Protect their paws with a special protection wax. There are many products on the market to protect paws. A quick internet search will give you many options. Even a quick coating of petroleum jelly will help give their paws some slight protection. Be sure to keep your dog in the grass if there is some available. 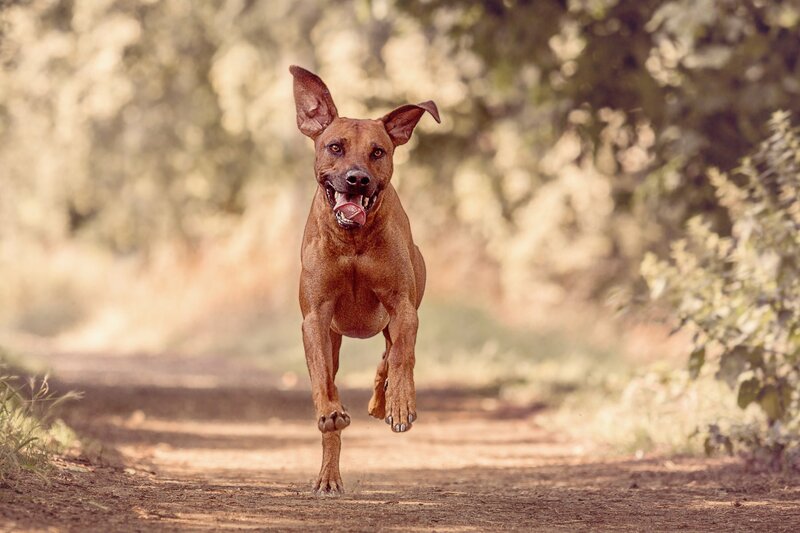 When running and walking in the beach, let your dog go in the water as often as possible. Then once you are home, use a towel and water to wash your dog’s feet. This will help keep them moisturized and clean for many walks to come. According to Petmd.com, arthritis is fast becoming one of the most common health problems seen by veterinarians. 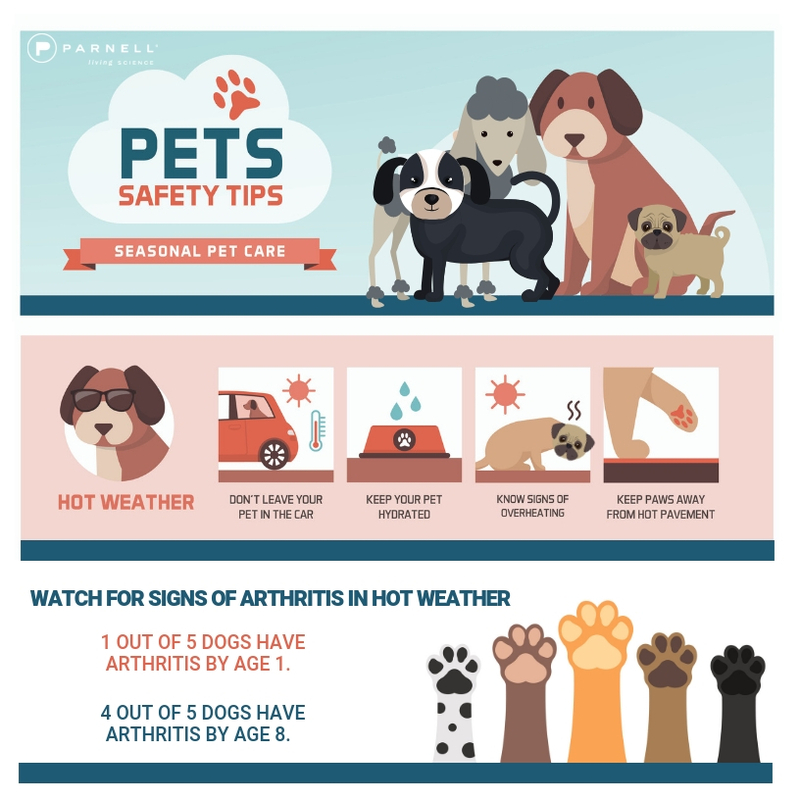 Just as in humans, hot weather can make joints swell and ache more, thus the signs of arthritis more apparent. Unfortunately, 4 out of 5 dogs by age 8 will have signs. 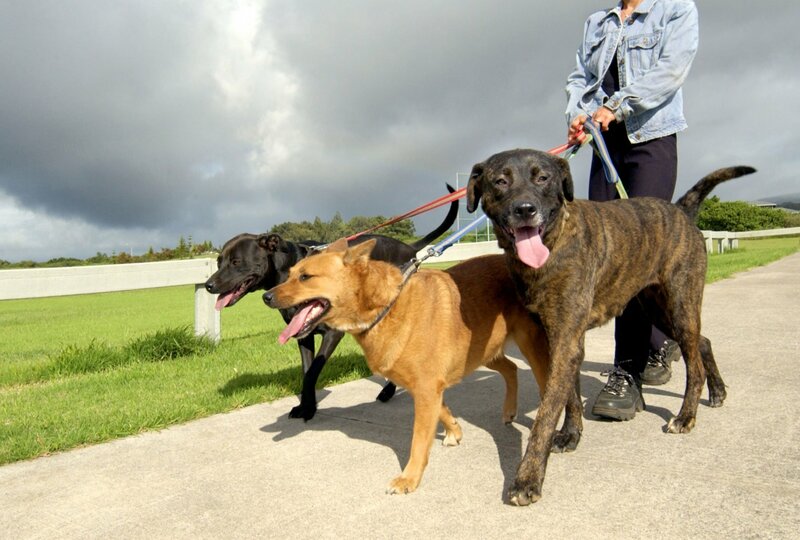 An even more surprising statistic is 1 out of 5 dogs will have signs of arthritis by the time they are one year old! Of course, this says just as all humans age differently, dogs age differently too, depending on a variety of factors. The best thing is to know what to look for to detect arthritis. Once you fill out the information, you will see the initial assessment based on your answers and receive an email with the results. No matter what you do, stay safe in the hot temperatures. Let's continue our trends in making 2019 the healthiest, safest year yet!